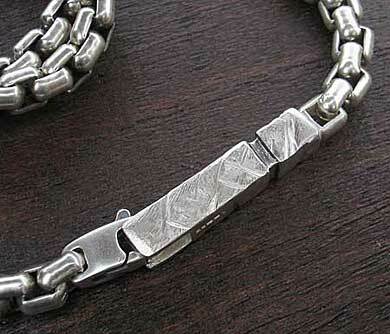 Men's Solid Sterling Silver Chain Necklace : LOVE2HAVE UK! 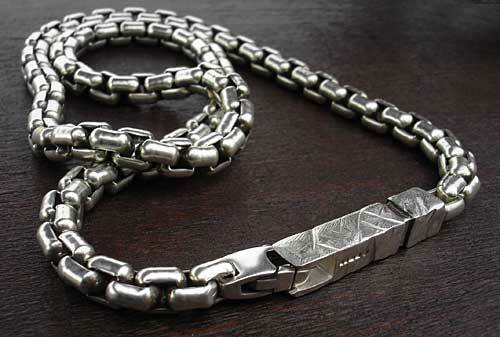 This men's solid sterling silver chain necklace is one of the heaviest men's silver chains we feature. It consists of 6mm square Belcher chain links and a 6mm x 30mm bar catch. 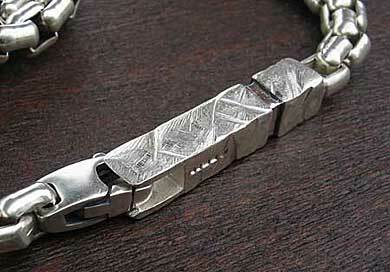 The total length is 18 inches and comes in solid sterling silver. A simply stunning piece of chunky silver jewellery for men from our textured range featuring the lovely distressed texture on the silver pillar. If you look closely at the images, you can see the UK hallmark. The price listed is the 18-inch length but it can come in other widths, so please do contact us first if you are interested in ordering. Size(s) Available: 18 inches as standard.